Let’s start off with natural beauty. 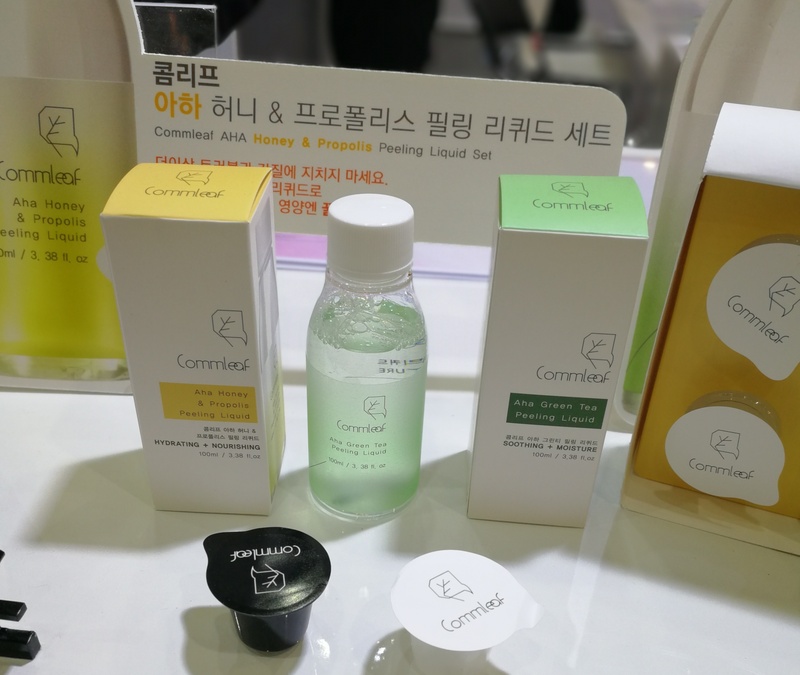 At my first Cosmobeauty visit in 2016 I only saw a handful of natural beauty brands amongst the exhibitors, and there were few „real“ organic labels (a notable exception was cute little niche brand Treeannsea – I’m currently using their Eskimo Mella Toner which I bought at Cree’mare in Seoul. Love it!). 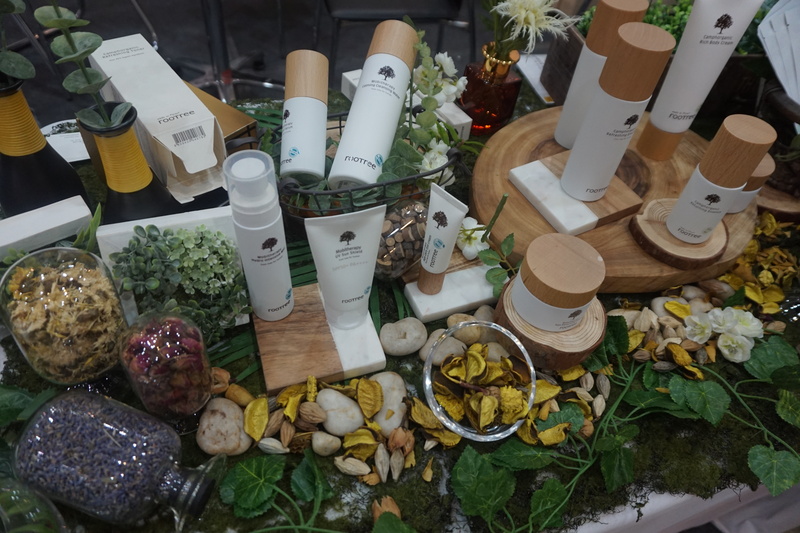 Cosmobeauty 2017 had an entirely different energy; with natural (or at least natural-inspired) beauty brands everywhere – organic and green positioning was much in evidence. Much to my delight there were also some bona fide organic beauty brands (the 2017 show was when I first met Urang Natural!) 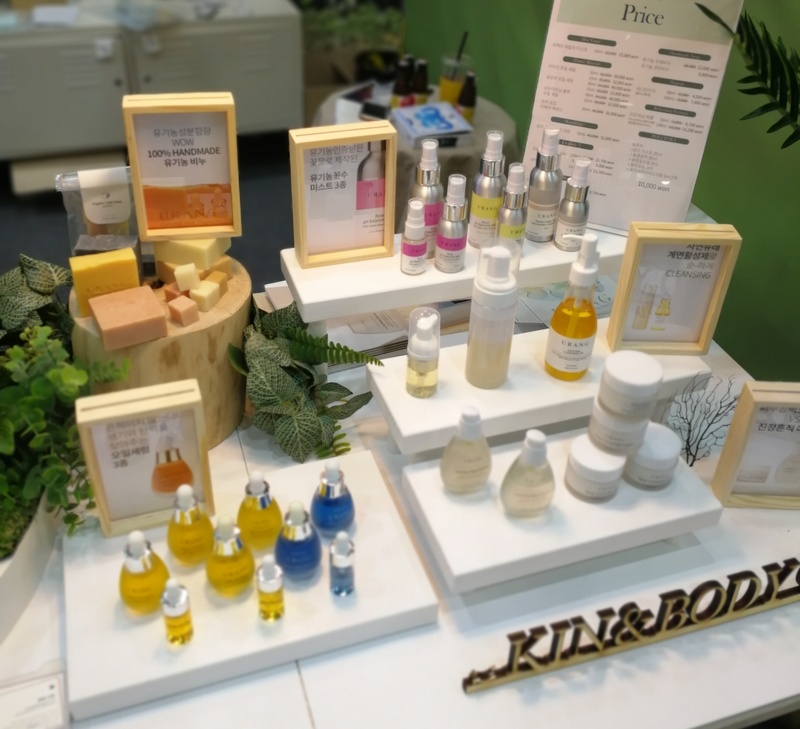 and Cosmobeauty 2018 continued to expand the focus on natural ingredients. 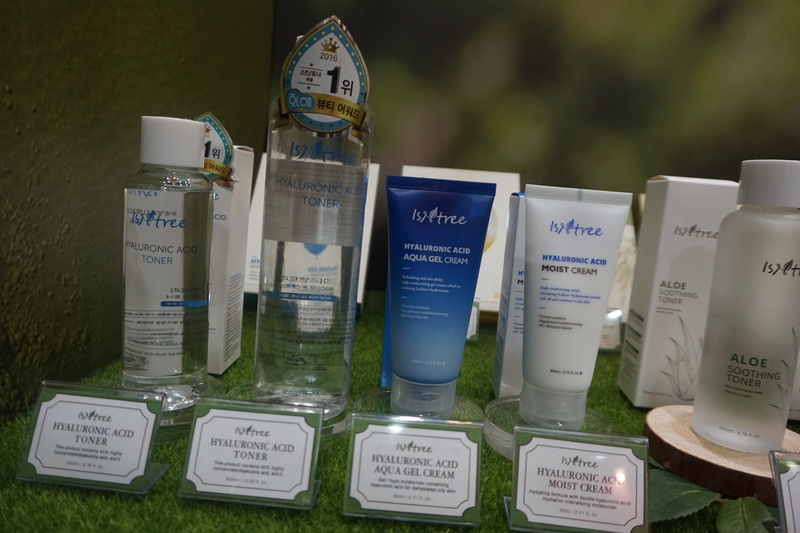 It was interesting to finally check out the product portfolio of Korean brand Isntree in more detail. Isntree is a natural brand (some product are certifiably organic although the majority is near-natural at best) with an impressively broad offline distribution: the products are sold at larger Olive Young drugstores, at Lalavla perfumeries (the health & beauty chain formerly known as Watsons) and various Shinsegae and Lotte department stores across Korea. 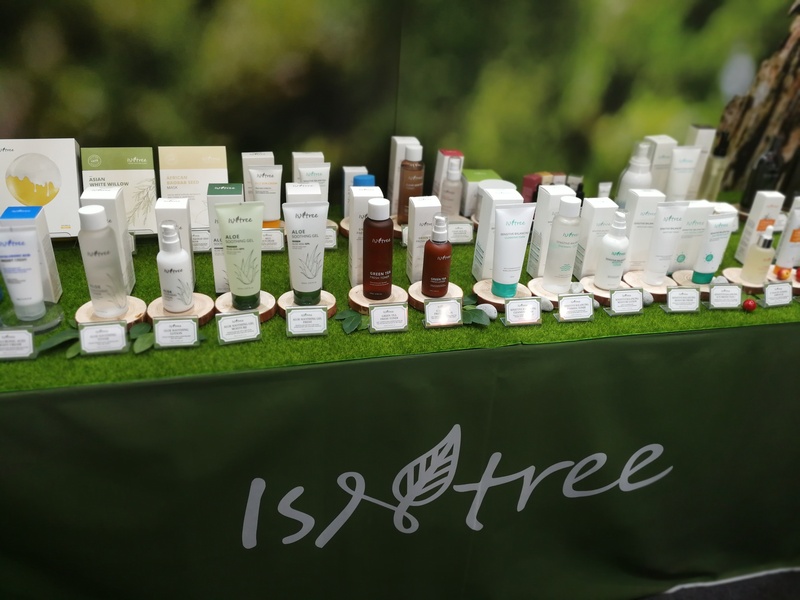 Isntree was launched in 2009 and the company‘s product portfolio comprises around 40 sku, mostly face care, body care and sun protection products. The brand is already retailed in Hong Kong, Singapore and Malaysia and they have now set their sights on Europe: I was told that the product registration for the EU market has almost gone through. 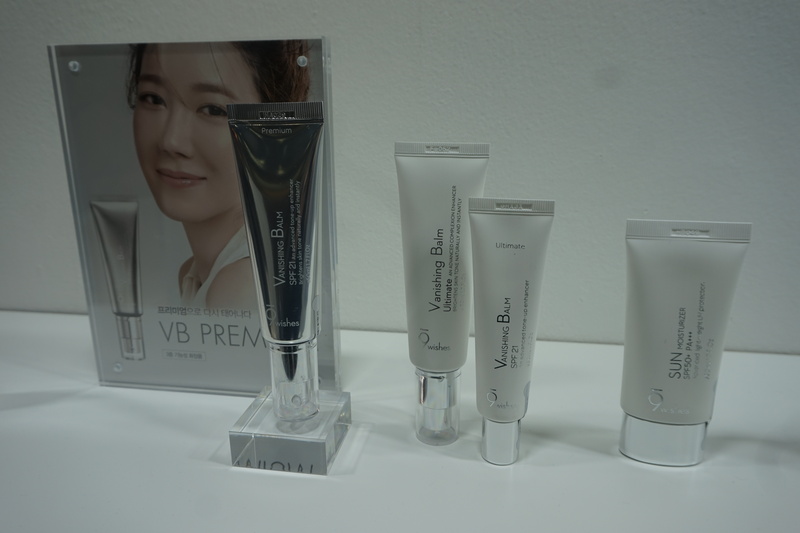 Their bestseller is the hyaluronic acid lotion you can see in the picture (second bottle from the left) and the ingredients are indeed lovely; with a great texture. I can see why the product is Isntree’s star product. 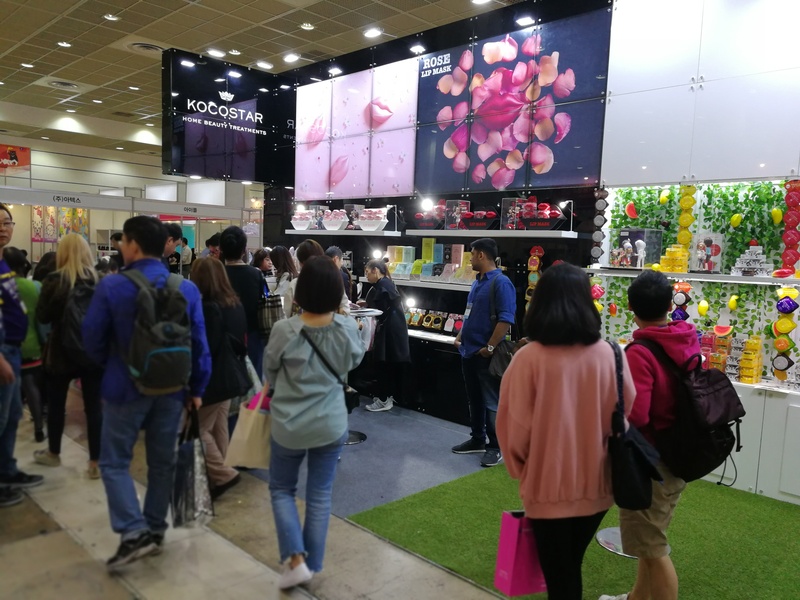 If I hadn’t already had bought so many Korean beauty products by that time (the trade show came at the end of an intense retail research week in Seoul!) I might have treated myself to a small bottle of the toner. Maybe next time! 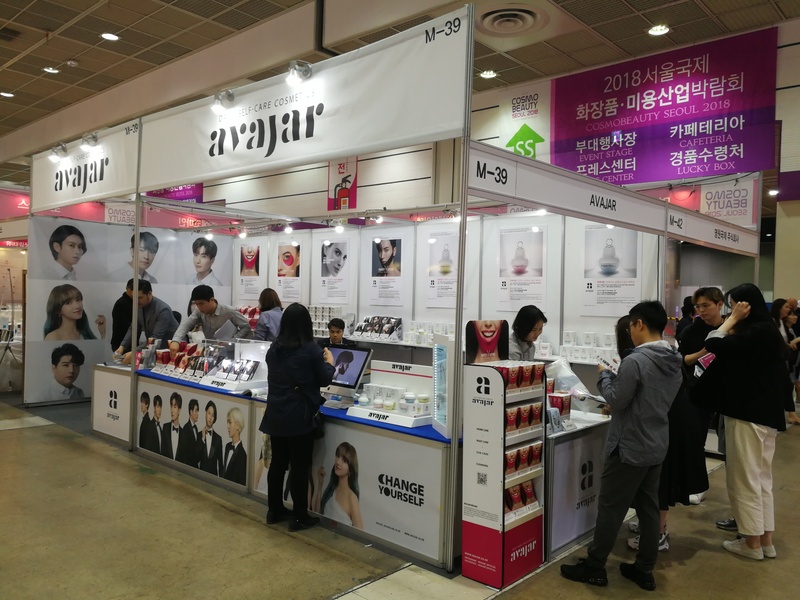 And of course Cosmobeauty 2018 was also full of beauty brands from Jeju, including Accoje, J:Dew and Blossom Jeju as well as Skincure’s SanDaWha. 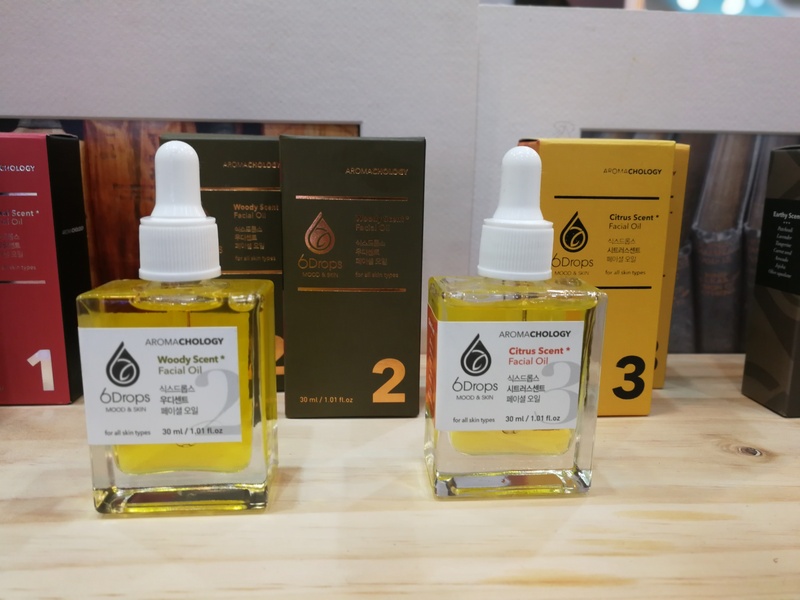 Now, I love SanDaWhat’s organic beauty products and had bought the Liposome Moisturissing Serum and the Camellia Floral Water Cream at last year’s trade show – I liked the serum in particular. 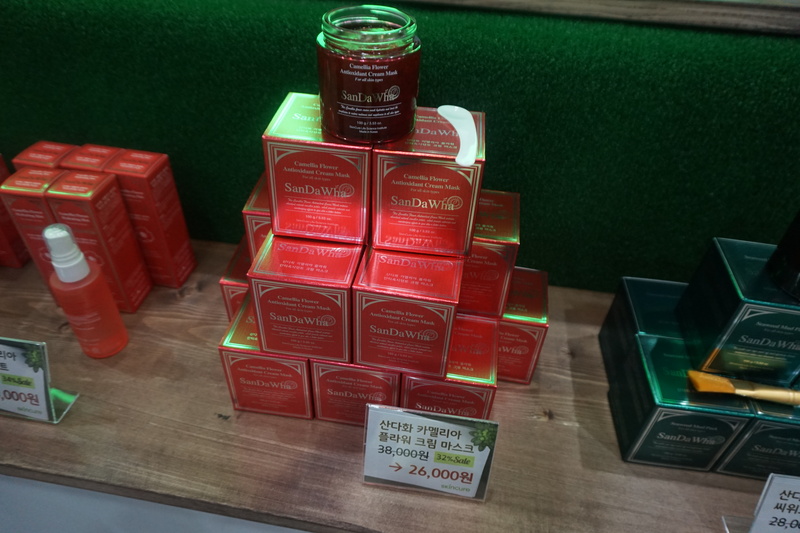 This year SanDaWha presented two fabulous-looking gel masks; one with camellia (red packaging) and one with seaweed (the green pack). The red variant is based on camellia flower extract, niacinamide, arginine, glycerin, camellia flower powder and liquorice root extract and has the most beautiful soft fragrance. The clear, fresh texture also contains fragments of camellia pollen leaf stems. The seaweed mask contains kaolin, bentonite, glycerin, allantoin and a whole range of plant extracts that I need to google first; plus several algae extracts. Scented with essential oils of vanilla and rosewood. If I hadn’t had the aforementioned „suitcase already much too heavy“ situation going on I would have broken down and bought the camellia mask. Rootree is another Jeju beauty brand (I rather like their brand slogan which is„forest-made“ ; )). I thought I had seen some of their products at an Olive Young but it turned out I was mistaken (must have confused it with another beauty brand): Rootree was launched in 2015 and their four product ranges are sold primarily online. The brand also has a small shop-in-shop in a Seoul-based organic concept store Hav’Eat (didn’t have time to check that store out; will do so during my next visit). Rootree’s bestselling product is the Returning Essence in the Camphorganic face care range. The essence is based on organic camomile water and the product formulation includes three key plant ingredients sourced from typical Jeju trees: Camphor tree extract, Japanese cedarwood extract and an extract derived from the evergreen Korean Dendropanax plant. The textures were very pleasant, with a light herbal smell. I checked out the INCI of the Returning Essence and was intrigued: besides the chamomile hydrosol the essence contains centella asiatica extract, camphor extract, chrysanthemum extract, birch bud extract, olive bud extract and hazel bud extract. 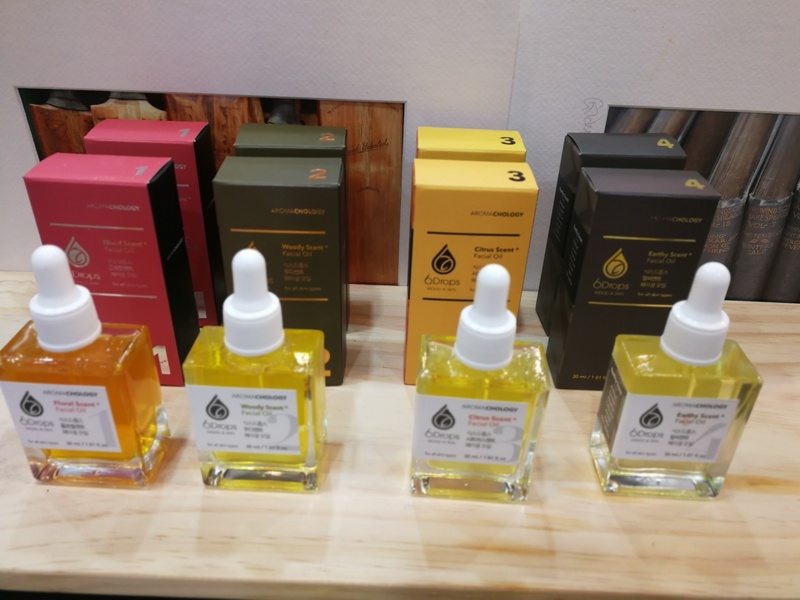 6 Drops is a very new organic niche brand; the company was launched in December 2017 and they specialise in face oils – a trending skin care category, by the way; while I was in Seoul I noticed that all of the big Olive Young’s now have dedicated shelf areas for their best-selling face oils (and almost all of these are from organic or natural brands, by the way. Score one for natural beauty entering the mainstream!). Anyway, 6 Drops offers four beautifully packaged oil blends which are based on jojoba oil, sweet almond oil, avocado oil and olive-derived squalane. Each oil is scented with an aromatherapeutic blend of essential oils – you have the choice between Citrus, Floral, Woody and Earthy. 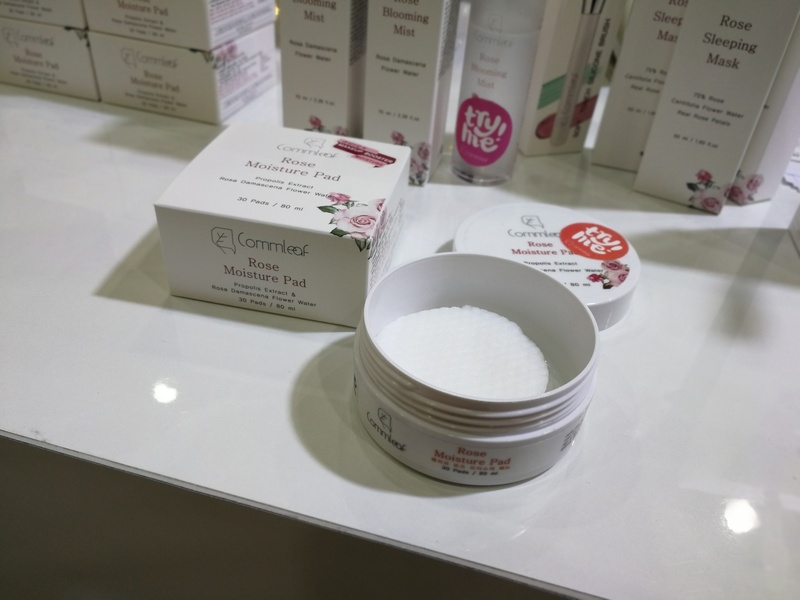 Commleaf was another newcomer brand; the natural beauty brand was launched earlier this year and currently offers five sku, including the Rose Moisture Pads (cotton pads pre-soaked in rose essence – convenient! See picture below) and two enzyme-based skin exfoliation treatments I found particularly intriguing. AHA Honey & Propolis Peeling Liquid and AHA Green Tea Peeling Liquid contain blueberry leaf extract, sugar cane extract and sugar maple extract to gently exfoliate the skin. In addition to this active blend the Green Tea variant contains, well, green tea extract and the honey & propolis is made with, ahem, honey and propolis. The peeling liquids are also available as a set: accompanied by compressed dry cotton pads – see the capsules in the pic? You pour a bit of the peeling liquid of your choice into the capsule and the cotton pads expands to it full size. Then simply wipe the pad across your skin, leave the liquid on for ten minutes and then rinse it off with warm water. 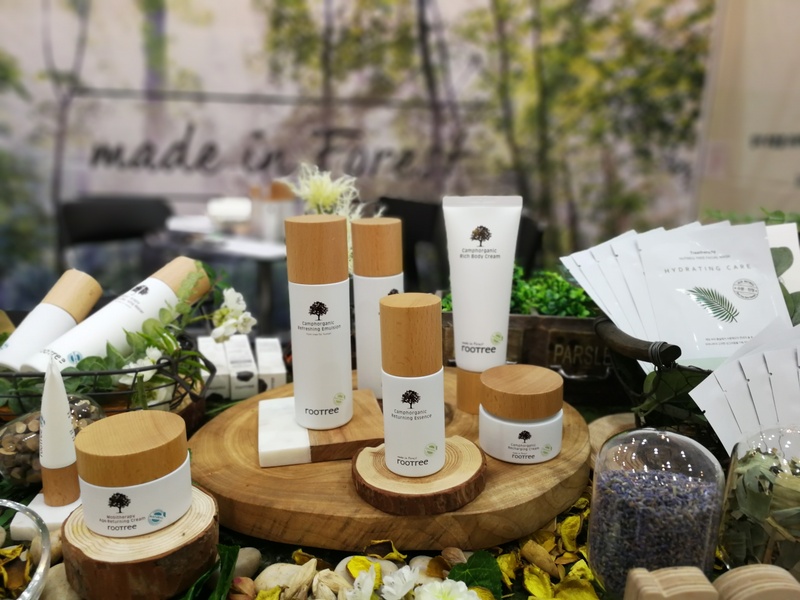 Organic beauty brand Urang Natural was also at Cosmobeauty 2018. I had last seen Urang at Cosmoprof Bologna in March (the brand was exhibiting at the booth of a European K-beauty distributor) and finally got to test out their new bright blue Whitening Oil ; ) – seriously, it’s a fabulous blend and my skin loves it; I’ve been using it for the past couple of months. At the trade show Urang founder Jina Lee very kindly gave me a whole bunch of products to try; I’m particularly looking forward to testing out the True Rose Repair Essence (see pic) and the Rose Ceramide Cream. For all you German readers out there; it looks like Urang will be exhibiting at Vivaness trade show in Nuremberg next year. 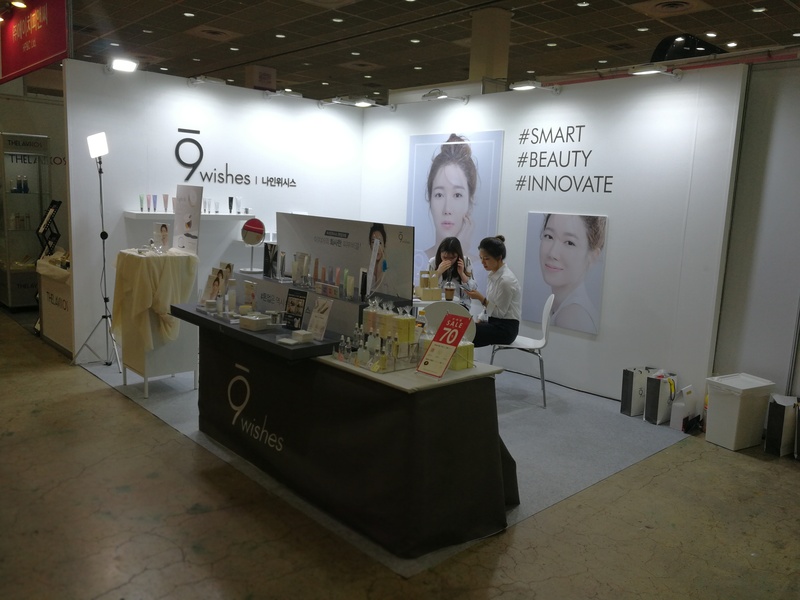 When I was doing my customary store research in Seoul last week I was struck by the general upheaval in the Korean beauty retail market: new perfumery chains – Chicor, Boots; revamped Olive Youngs; rebranded Lalavla/Watsons! – the entire sector is changing at the moment so look out for a trend-traveller profile on all of the new beauty retail heroes in Korea soon. I also noticed a whole clutch of new Korean beauty brands which are sold in these new perfumery stores. They are smaller or niche brands, often with an apothecary-style aesthetic; almost always with a strong clean beauty /plant-based/herbal ingredients slant as well as INCI transparency (usually with an „EWG verified“ claim on the pack) and a stylish, minimalistic packaging design. And I’m willing to bet that most of these new brands were launched in the last five years or so. 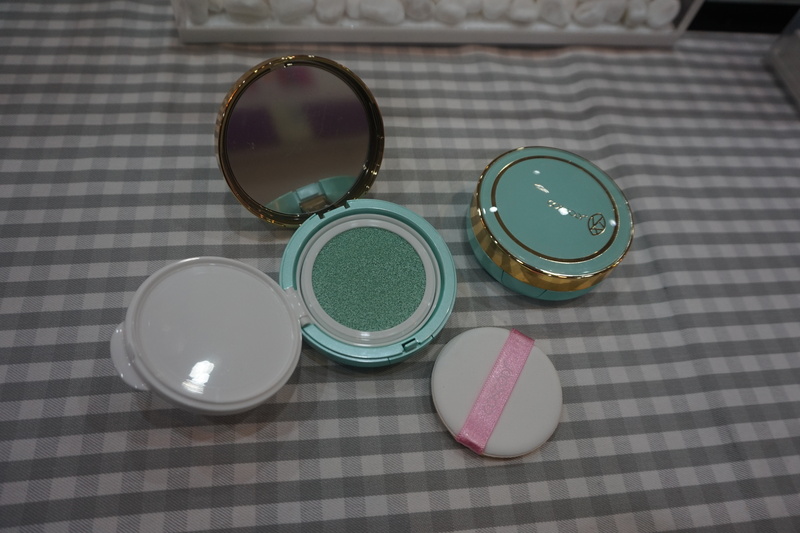 I also saw several clean beauty brands at the trade show. 9 Wishes, for example, is a niche brand launched in 2013. They primarily sell their products online; the portfolio includes around 40 sku of classic Korean face care products – serums, toners, lotions and so on. Simple packaging, beautiful textures, a stylish brand all around. Their newest product is the Premium Vanishing Balm (see picture above), a hybrid moisturiser/primer with a gorgeous, silky texture. I also liked Coscodi, a fairly new Korean brand which was launched in 2017. 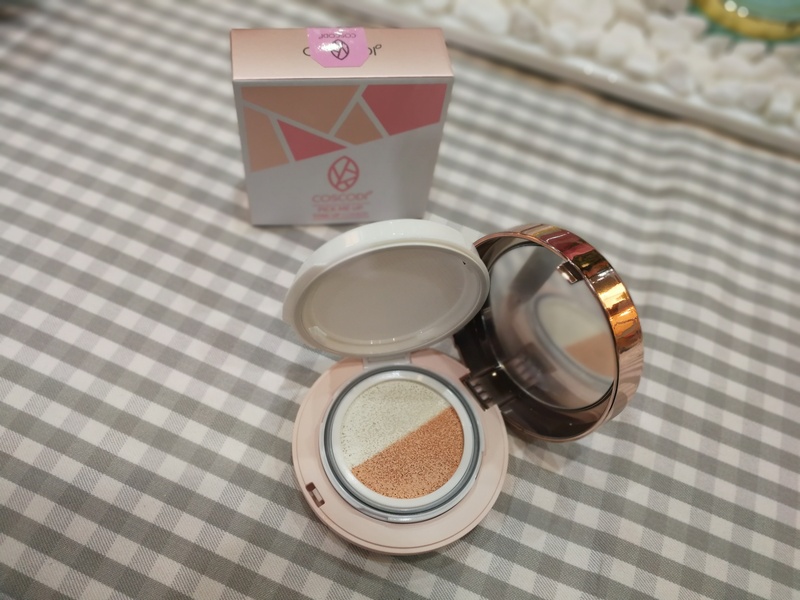 Coscodi offers a number of skin care and makeup products and I was particularly taken with their two-tone hybrid primer/skin care Pick Me Up Tone Up Cushion – check it out in the picture below. The brownish half of the cushion contains a liquid foundation, the whitish part is a vitamin-rich moisturising cream. When you dab the two colours onto your skin they turn into a subtle wash of colour to even out skin tone. Coscodi also offers a greenish cushion primer. I do like the packaging of these two cushions; especially the Pick Me Up – the design looks ever so slightly art déco. I was a little disappointed that Swanicoco wasn’t at the trade show this year; they were an exhibitor last year and I spent a lot of time at their booth testing out the products. Rosé from Swanicoco’s PR division kindly gave me a bottle of their EGF ampoule to try (the silver bottle); try it I did and I simply loved it. 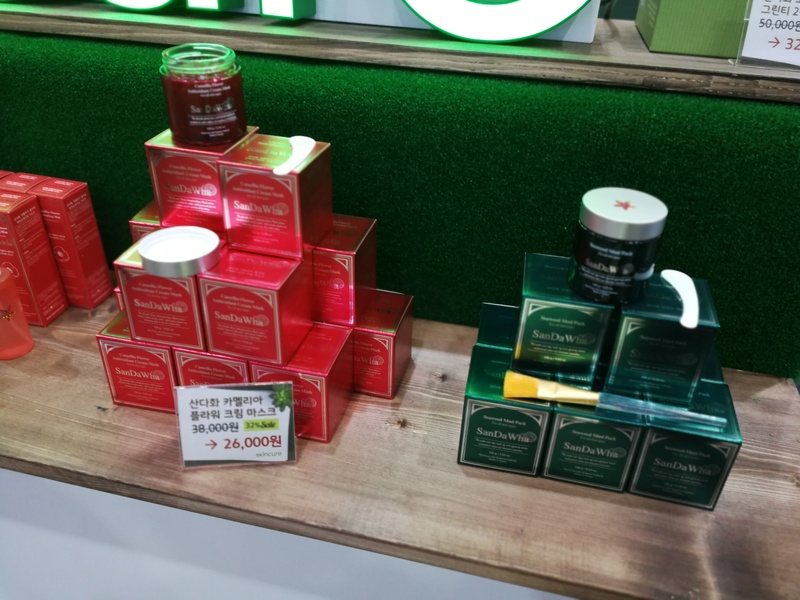 So much, in fact, that I actually went to the big Shinsegae duty free mall in Myeongdong last week and bought the Swanicoco gold bottle at tax free prices – my first time actually purchasing something at a Duty Free Mall, incidentally! Anyway, Swanicoco wasn’t at Cosmobeauty this year but rubber mask manufacturer Lindsay was although they didn’t show any new products at the show. I was told that there will be some new launches soon. 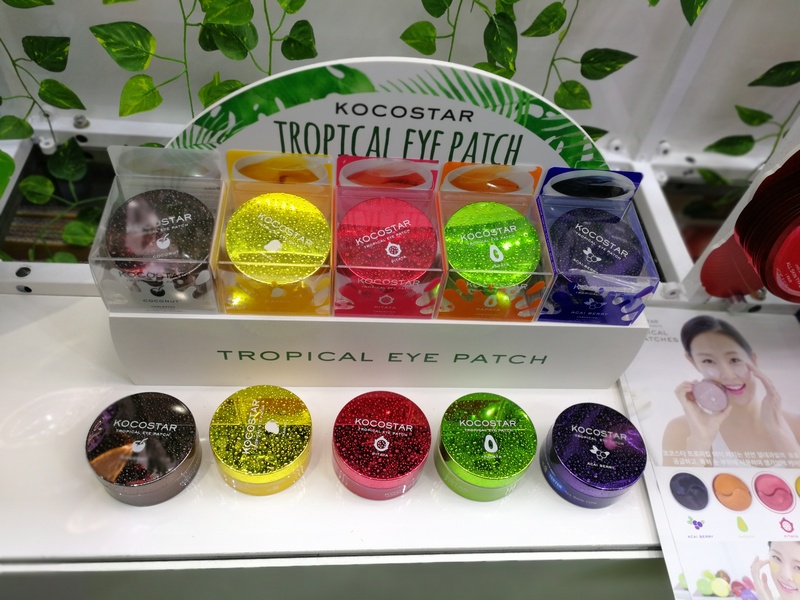 Other big names in attendance included Fascy and Kocostar – and Kocostar presented some spectacular-looking new undereye gel masks: the Tropical Eye Patches. Available in five unashamedly fruity flavours the Eye Patches are colourful, refreshing and scented with, respectively, coconut (silver), pitaya (pink), papaya (green), acai berry (purple) and mango (yellow). I’m pretty sure that the Eye Patches will do well – they’re a good addition to the brand’s iconic fruit slices masks (Kocostar was launched in Germany and a number of other European countries last year). And the packaging looks truly striking. 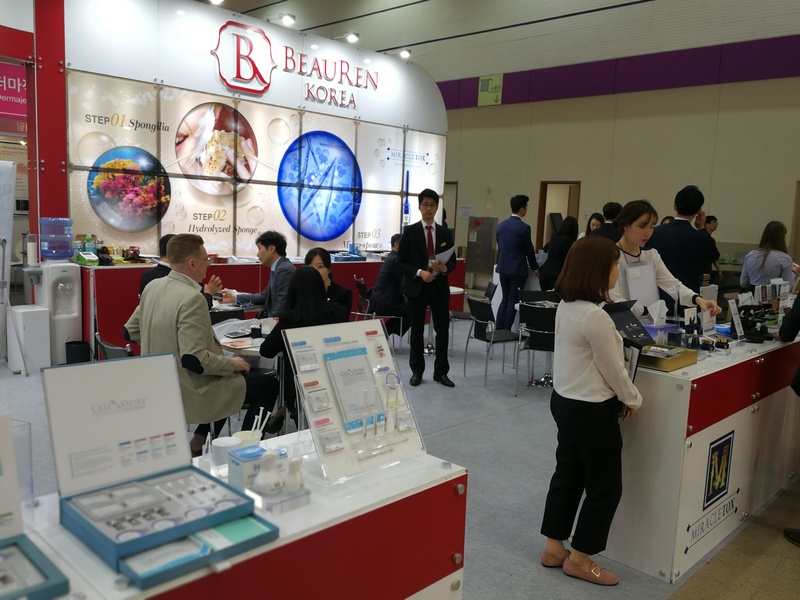 One of the biggest exhibitors at Cosmobeauty 2018 was Beauren Korea. 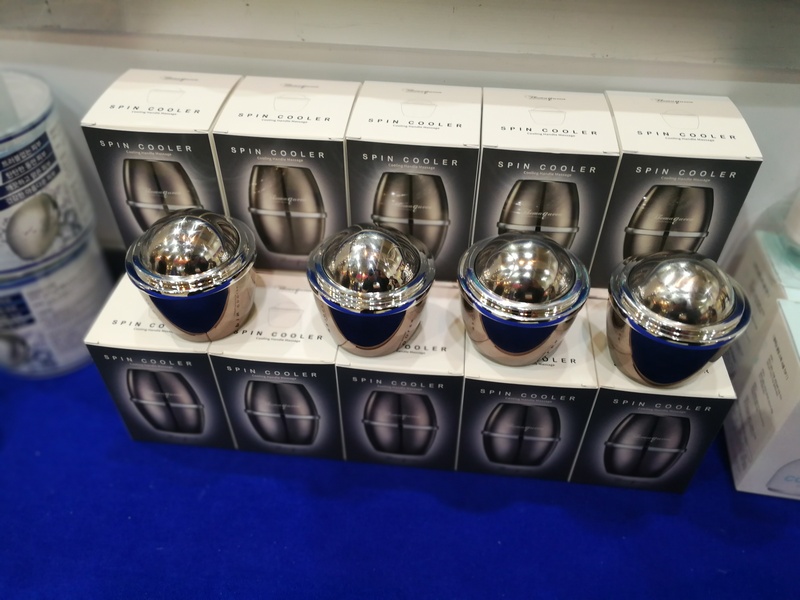 The company specialises in functional anti-ageing cosmetics and at the trade show, Beauren presented some of its best-selling products, including Miracletox. Miracletox is formulated with Micro-Spear complex, an ingredient derived from hydrolysed freshwater sponge. Apparently this sponge develops tiny silica „needles“ to adapt to its natural environment. For the Micro-Spear complex, these needles are ground to a microscopic size and are then blended into the creams and serums. The effect is described as somewhat like micro-needling: a treatment where skin is punctured by tiny needle pricks. As a second step an anti-ageing, brightening or moisturising serum or other intensive treatment is applied to the skin – and because of the tiny little injuries these active ingredients are transported deep into the dermis. The Micro-Spear fragments are said to have a similar effect, abrading the skin very slightly so that the other products in the range can penetrate into the skin. I tried a bit of the cream on the back of my hand and it really felt scratchy, like I was massaging sharp sand grains into my skin. Not particularly pleasant. 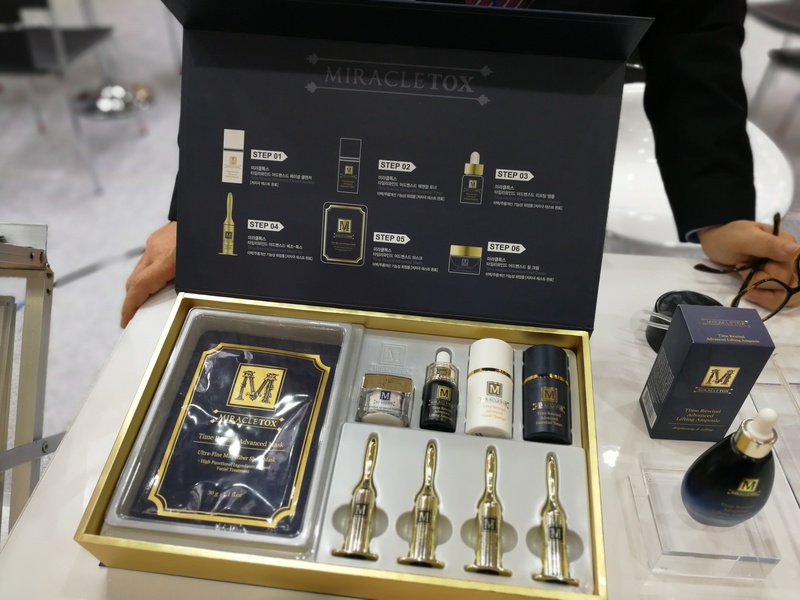 Still, the Miracletox treatment is only supposed to be used once a week for a month, and the kit contains six products which are designed to used one after the other: cleanser, toner, essence, ampoule, sheet mask and a cream. And ah, Avajar! You’ve probably seen their famous Prime V Lifting chin mask on social media– a pink chin corset-type of fabric mask with two handles that you hook over your ears. The mask is said to firm up chubby jawlines and slim down double chins to achieve that coveted V-shaped chin shape which, apparently, is one of the beauty ideals in this part of the world. The mask consists of two layers: the inner layer is a classic hydrogel mask saturated in a highly concentrated essence (with ingredients such as caffeine, glucosamine and hyaluronic acid) and a stretchy compression-type fabric on the outside which holds the hydrogel into place. Anyway, the Prime V Lifting mask is a total bestseller and Avajar has now brought out a black version for men. 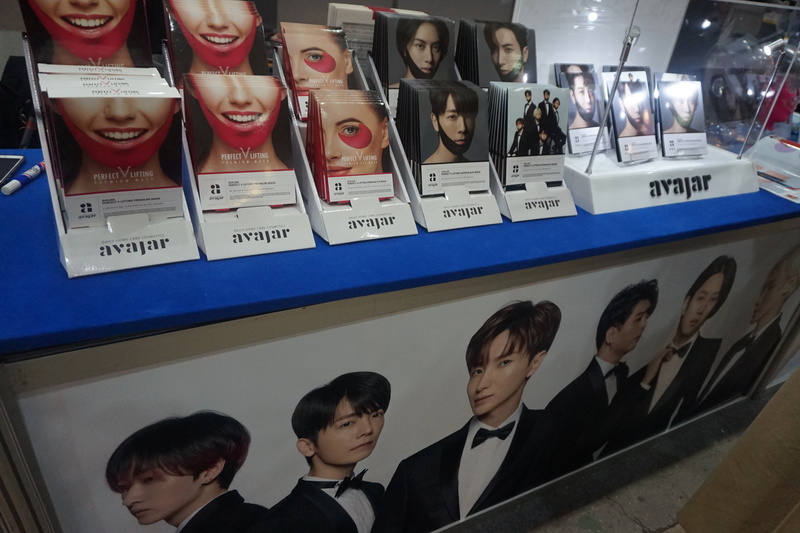 The stylish gentlemen modelling the black masks are member of K-pop sensation Super Junior. They all seem to have pretty V-looking chins already (and I read that most K-pop celebrities, including the men, have had cosmetic surgery done) but I guess a jawline can always be a bit firmer? The last brand in this report isn’t actually a beauty brand but a beauty accessory, maybe? 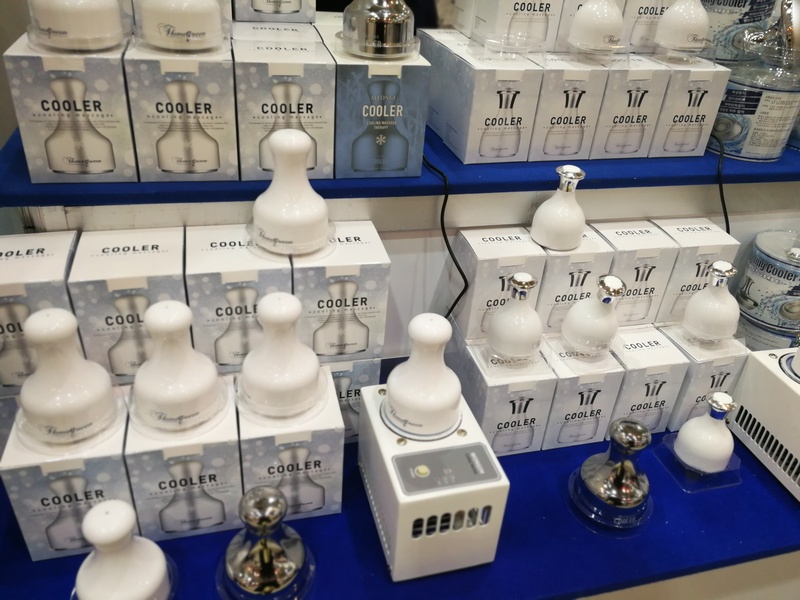 Themaqueen’s Spin Cooler is a classic Korean summer-time product: a cooling roller ball gadget. The roller ball is stainless steel and filled with a coolant; pop it into the freezer for three hours and it’ll stay cold for up to eight hours (at least this is what I was told). Then you slip the icy roller ball into the casing and use that to massage your skin – you can use it on your face to soothe irritated or sunburned skin or your pulse points to cool the body down. Berlin summers can be surprisingly sweltering so I bought a Spin Cooler to use in hot summer nights. I’m thinking pulse points or neck perhaps; it must be better than an ice pack which is what I usually use when temperature rise above 30 C (note for my international readers: hardly any house in Germany (or Europe, for that matter) has air-conditioning. Anyway, the company also manufactures a whole range of other cooling massage balls and stamps – seriously, they do something which looks like a giant sealing wax seal which comes with a special little stove, only it’s not a stove but a freezer plate? The freezer cools down the temperature of the stamp and then you can apply it to the skin. It is really refreshing.